DESPITE REHAB’S ANGELA Kerins and Frank Flannery turning down their invitation to appear before the Public Accounts Committee (PAC), other staff from the Rehab Group will attend to give evidence today. What will the PAC be looking for answers on? Chairman of the Committee John McGuinness said there are key areas which the committee may wish to pursue at this week’s meeting, mainly relating to the use of public funds and how these are accounted for. Rehab will also be questioned on issues relating to the the running of the company and its repsonse to issues that have come into the public domain in recent months. “In addition there are issues around corporate governance that are a cause for concern in an organisation that receives substantial funding, not only from the taxpayer, but also from the general public through contributions to fundraising events,” said McGuinness. 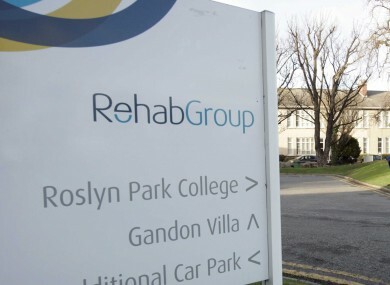 “Rehab describes itself as a not for profit organisation: it has the status of a charity and it has a commercial wing and the issues around governance and remuneration appear to be at odds with what an organisation of this nature should be about, he added. That is why the Committee has sought details about salaries and pensions to address concerns which were raised at the salaries of the senior executive team and the fact that many were paid bonuses in 2012 at a time when the ordinary workers in Rehab appear to have been paid the market rate for carers and trainers and for delivering the wide range of vital services that are undertaken by subsidiaries of the Rehab Group. McGuinness said “to date, Rehab has not been open with the Committee on the issues around governance. Any information we received has had to be dragged out of the organisation and, in the appointment of Eddie Molloy, which was announced by the Rehab Board yesterday, there appears to be a recognition of the substantial change that is necessary”. The PAC said they welcome the appointment of Dr Molloy to conduct “a root and branch review into governance and structures” at the organisation, said McGuinness, adding that tomorrow’s meeting with key members of the Board will allow Rehab to outline how they intend to go about that change process. “Tomorrow’s meeting provides an opportunity for members to pursue any unanswered questions which they may have on Rehab. The charity sector in Ireland has suffered greatly in recent months and it is essential that trust and confidence is restored through the transparent use and reporting of public and donated funds,” concluded McGuinness. Email “PAC want more answers from Rehab and today they hope to get them”. Feedback on “PAC want more answers from Rehab and today they hope to get them”.